CinemaDrape instantly blanks or dims the other less important areas in a web page or in the background windows. Stop getting distracted by all those side elements, ads, or social network and instant messaging notifications. With CinemaDrape you no longer have to manually clean up your working screen area or close windows and applications. Adding a new transparent focus area is like drawing a rectangle. And you can add as many focus areas as you need. You can easily move or resize the focus areas using the mouse or arrow keys, or change the drape color and opacity. 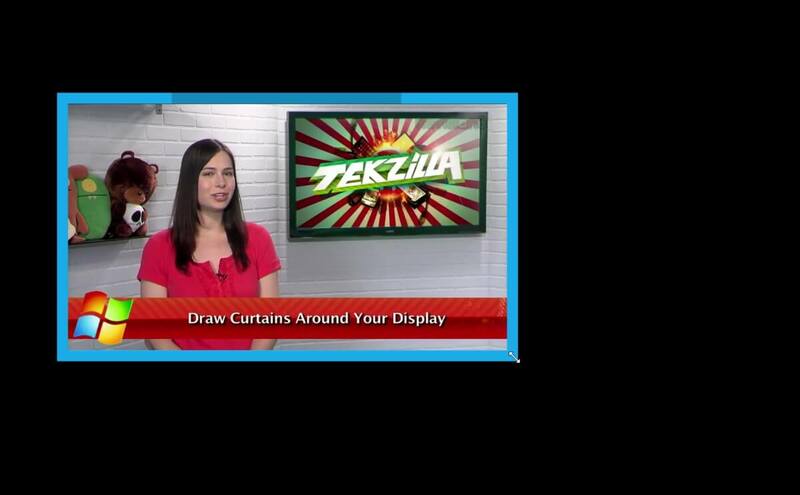 On today's Tekzilla Daily, learn how to use CinemaDrape to close out everything except your most important task. CinemaDrape forces you to give the job your full attention by hiding everything outside the main application. A great way to turn off the 'background noise' so you can focus on one particular app or area of your screen.